Manage your inventory through the sales process quickly and efficiently from acquisition to sale. KARPOWER Online’s® easy to use interface allows you to manage multiple vehicle at one time from one screen. With the time saved by using KARPOWER Online you can focus on the more important task of selling cars. Arm yourself with Kelley Blue Book Trade-In Values during the sales process. Providing your customers with a detailed vehicle breakdown, including the Kelley Blue Book Trade-In Value, will help to build trust and ultimately make the sales process an easier one. Plus, when you access the Trade-In Value within KARPOWER Online, you can then save the information and complete the book-in process later should you take that vehicle in on trade. Consumers know and trust the CARFAX name. With CARFAX Reports, your sales force will have useful tools to help explain a vehicle's history, reassure customers and successfully close the deal while making more money per vehicle. Kelley Blue Book conveniently integrates with your CARFAX account. Instantly view each vehicle's CARFAX status with quick access to the full report. Provide your customers with all the detailed vehicle information they want, along with contact information for your dealer ship and sales representatives. With KARPOWER Online you have the option to print or email a Kelley Blue Book Vehicle Fact Sheet to your customers on demand. 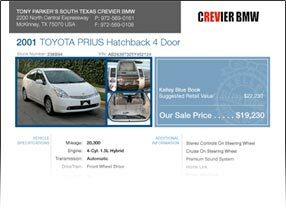 Not only will this document include vehicle information, photos, and asking price, but you can further customize it with your personal message and even include your return email address. Kelley Blue Book’s Vehicle Fact Sheets ensure that your customers have all of the information they need in order to make their vehicle purchase decision. Export Vehicle Information to your desktop using KARPOWER Online's File Export Wizard. With the ability to customize the information included in the file, you can ensure that the data file will meet your needs. Use the step-by-stepguide to help you through the process. 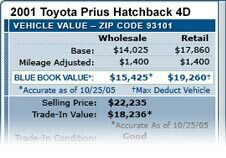 Inline editing allows you to change both price and mileage for vehicles directly from the inventory screen. Make these simple updates to the inventory screen all in one area, without ever leaving the page. 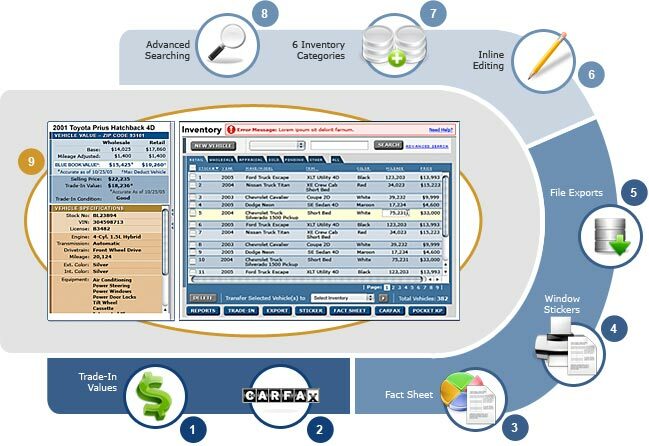 Available to help you manage vehicles throughout the sales process and keep your inventory organized for quick viewing. KARPOWER Online’s Advanced Search feature allows you to quickly find, sort and view vehicles in your inventory. Search and filter by multiple criteria to narrow down your search to the exact vehicle(s) that you are looking for. Easily scan the details of your vehicles through the vehicle summary window. The vehicle summary window is always present to give a quick overview of the vehicle that you are working on. This also allows you to differentiate between similiar vehicles on the inventory page.